Emdad Rahman: On this side of the border The Quality Street Gang may have a more notorious reputation – A band of criminals who operated in Manchester and who may or may not have locked horns with the Kray twins. However, this is a completely different gang and one far less nefarious in its activities. The Quality Street Gang by Dunfermline born life long Celtic fan Paul John Dykes tells the tale of the greatest Celtic reserve team ever. It’s about how football visionary Jock Stein crafted two great teams in order to dominate the domestic and international game. 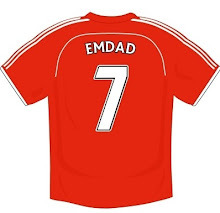 Dykes writes about the shared experiences of these youngsters; how they developed from fledglings, to football superstars both home and abroad during a golden period for Celtic Football Club. The crop of youngsters were so talented that in the late 60’s consideration was given to allow the team to participate in the Scottish Second Division. This proposal was rebuffed by the powers to be. You’ve won arguably club footballs greatest prize and you’re plotting your next move. You don’t have major financial clout or a Mr Moneybags owner. What do you do? You simultaneously develop a reserve team to seamlessly take over from the legends of old. That is the situation Jock Stein was faced with and solved to such great effect. After the triumph of Lisbon, Stein had a rebuilding programme in progress. The average age of the Lisbon Lions squad may have been 26 but Stein had already started to plan ahead - reassessing and rebuilding the greatest ever Celtic team. And so it began with 19 year old reserve team captain David Cattanach, 21 year old inside forward Patrick McMahon, 18 year old Lou Macari and 20 year old Davie Hay. It was working. The conveyor belt was churning out the talent and it was clear that Stein had great faith in his fledglings. After all the youth system at Parkhead had only produced the Lisbon Lions. Fast forward to 1968 and the events leading up to an emphatic 6-2 League Cup win over Hibernian at Hampden gave further signs of Stein’s vision for the club. Prior to the final Stein handed three debuts in the second leg of the game against Hamilton Accies at Douglas Park: Bobby Wraith, John Gorman and a 17 year old named Kenneth Dalglish. The trio stepped into a team boasting an exemplary european record of one final, two semis and a last 8 appearance in just six seasons. Stein’s quality assurance antenna was in full effect. His ethos was flawless. The youngsters would pass the standards test. They would break through into the first team, mingle and learn from senior pros who’d done it at the very highest level. It was the football education a young player could only dream of experiencing. Part of Jock Stein’s masterplan and vision meant that the great man envisioned a lasting legacy. The Lisbon Lions may have made everlasting football history but it was only a matter of time before they too would be replaced on the green fields. Not about to let his team follow the lead of Helenio Herrera’s “La Grande Inter,” Stein set about plotting and developing the future stars who would take up Billy McNeil’s mantle, grasp the baton from the wizard Jimmy Johnstone and step into the golden boots of the iconic Bobby Murdoch. Celtic were the very first British Club side to lift the European Cup. They had become to their opponents an internationally acclaimed name and a major scalp to beat. Teams both home and abroad raised their energy levels and their game when they played the Hoops. It was obvious to Stein as a visionary that he would need to nurture new talent – a new breed of stars to step effortlessly into those famous green and white shirts. And so Stein set to work, nurturing a brilliant new reserve team in the late 60’s and early 70’s. They were labelled The Quality Street Gang and several of that gifted breed such as Kenny Dalglish, Davie Hay, Danny McGrain, Paul Wilson, Lou Macari and George Connelly all stepped up, mixing with the old guard, winning silverware at Parkhead and representing Scotland on the international stage. Those with football knowhow knew this sure progress wasn’t accidental. It was the summer of 1968 and Celtic Reserves needed a mammoth seven goal win against Partick Thistle Reserves to pip Rangers Reserves to the Reserve League Cup section. The Bhoys stunned the Maryhill Magyars with a 12-0 thrashing. Lou Macari was most prominent with four goals. That year the Scotland national manager Bobby Brown made a request to Jock Stein for players for a warm up game. Stein duly sent his reserves who outplayed the seniors, including Leeds United legend Billy Bremner, beating them out of sight with a 5-2 win. Two years later The Quality Street Gang lifted the Glasgow Cup, 3-1 against illustrious neighbours Glasgow Rangers. By 1970-71 The Quality Street Kids were wreaking havoc as the highest goal scorers in Britain. Kenny Dalglish was mesmerising with sixteen goals in a mere six games. With such glorious firepower the reserves wrapped up the League title, League Cup and the Second XI Cup treble. Rivals Rangers were beaten three times out of hand in eight days of madness - The League and two-legged League Cup Final. The games weren’t even close: 7-1, 4-1 and 6-1. Kenny Dalglish may have plundered 43 goals in two campaigns but his exploits were overshadowed by Vic Davidson, 92, and Lou Macari, 91. By 1970 Celtic had reached another European Cup final and Ernst Happel’s Feyenoord were looking to make their own history as the first Dutch club to lift the coveted crown. Though the likes of Dalglish, Hay, Macari and McGrain became household names others did not fare as well. George Connelly from the mining village of Fife was an exquisite prototype footballer. His brilliant close ball control, influence on a game and accomplished play led to Jock Stein comparing Connelly with the great Franz Beckenbauer during the 1974 World Cup. Connelly was earmarked as the natural heir to “Caesar” Billy McNeil. Sadly, Connelly’s mental health suffered due to a disastrous failed marriage. This led to alcohol dependency and to Connelly’s subsequent retirement from the game at the tender age of just 26. David Cattanach firmly believes that the introduction of the big Fifer was the advent of a player who was to become, like many of the Lisbon Lions he had learned from, truly world class. “Without a shadow of a doubt I would say he was like Franz Beckenbauer. 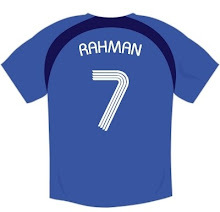 He had the same sort of ability to be able to go forward and play the ball and not just stay at the back. The gifted Brian McLaughlin was given his debut as a 16 year old in the 6-2 League Cup thrashing of Clydebank on September 22nd 1971. In 1973 his career was more or less ended by a horror tackle from Clyde's Willie McVie. McLaughlin returned but was never the same player. Danny McGrain described it as the worst injury he’d seen on a pitch and has never forgiven McVie for this. Tragically, Brian McLaughlin was found dead in Aug 2009 in a canal in Falkirk. Pat McMahon enjoyed a meteoric rise from Kilsyth Rangers to sign for Celtic in 1967. A frustrating two seasons saw three first team appearances with two goals. McMahon joined Tommy Docherty in 1969 as Aston Villa pipped Dunfermline to his signature. In 1976 he moved to the NASL and now lives in the States. John Gorman was released after a single League Cup game. He was a good player but let’s not forget he was competing with Tommy Gemmell and Willie O’Neill. It is fair to say that if this crop had stayed together they may very well have won a second european crown. After all, Celtic did reach the final again in 1970, the last eight in 1971, and semi finals in 1972 and 1974. This book is just another chapter in the rich history of Celtic Football. It’s a read for any football fan but supporters with Celtic ties would appreciate the content just a wee bit more. 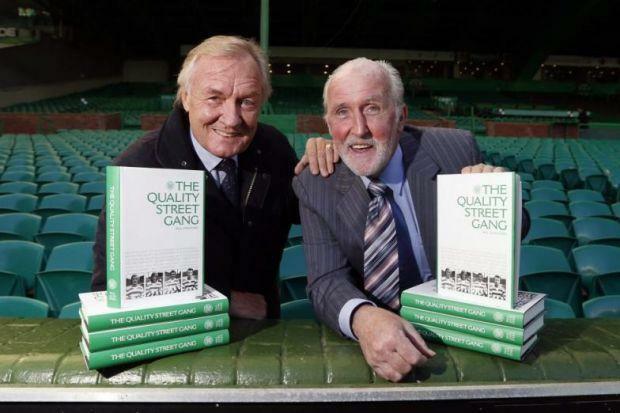 The Quality Street Gang by Paul John Dykes is published by Celtic, priced £19.99, and is available from club outlets and Amazon.